Harley's Hitting the Slopes Again, in the 2019 X Games for Some Fun! Harley’s Hitting the Slopes Again, in the 2019 X Games for Some Fun! 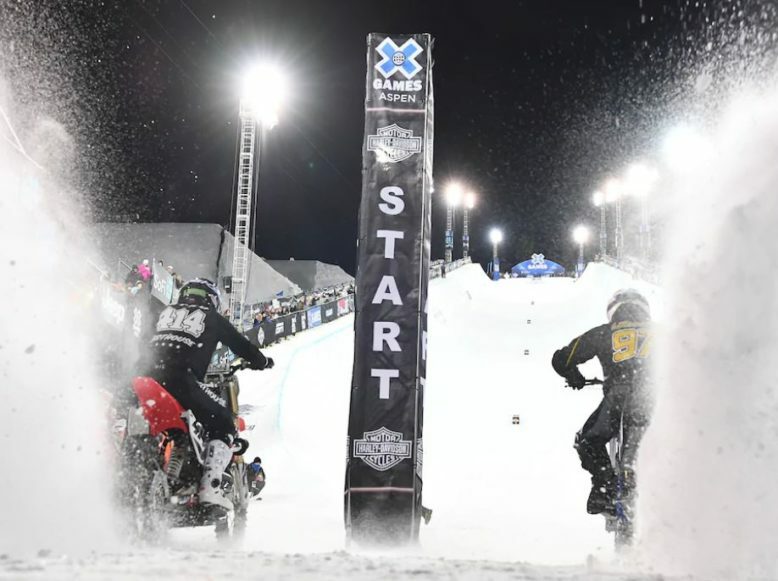 On January 27, 2019, at 5 pm MST, watch as modified v-twins race head-to-head up the steep and slippery “back of a big air landing” in the second-annual Harley-Davidson Snow Hill Climb competition at the 2019 X Games, AMERiders tells you about it. Last year, Harley-Davidson hooked its horsepower to the wild and wintery 2019 X Games in a bid to get the next generation of young and eager extreme sports eyes on their product line. Pairs of racers tore their tires through ice and snow to get to the top first and avoid elimination. 48-year-old Hill Climbing Champion Travis Whitlock from Montana won the first medal event of its kind. Whitlock was also the oldest competitor at the games. In the inaugural year, an H-D Sportster was modified to incorporate a lighter, wider, dirt-bike frame with extended swing arm and doubled v-twin horsepower. This year Logan Lackey will compete on his daily Street Rod that’s received special treatment: studs in the rear paddle tire, a longer swingarm, custom exhaust, studded front knobbies and a gearing change. Also, since last year, the incline has increased from its original 18-degree pitch, because what’s fun about the status quo? Reaction to the event was mixed, with a lot of people giving this marketing maneuver a very low rating, but they watched it, which is exactly what Harley is after. Hype. Seems some people think they should sink that money into product development, but if “the same old” is what their clients want, why would H-D waste the change? Better to have fun and let your customers make modifications on your behalf. Maybe that’s the way to do it: pour the dollars into advertising and let the fans fiddle with fabrication. Flatter them by poaching their ideas and then, presto, crowd-sourced custom creativity and a sense of agency. The bikes may not be getting much better, but the brand is still alive so perhaps these games and gimmicks are what their demo prefers. Different strokes for different folks. Horrible pun intended. Let AMERiders keep you up to date with information on the Harley and the 2019 X Games.